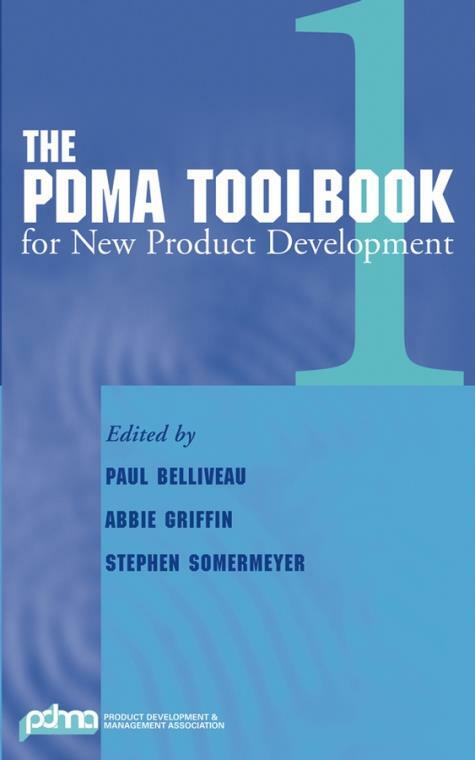 With effective methods, tools, and techniques in every chapter, The PDMA ToolBook 1 for New Product Development is an essential book for new product development professionals, including project leaders, process owners, and program or portfolio managers in a broad range of industries from heavy manufacturing to services. PART 1: PROJECT LEADER TOOLS TO START THE PROJECT. Fuzzy Front End: Effective Methods, Tools and Techniques (P. Koen, et al.). Hunting for Hunting Grounds: Forecasting the Fuzzy Front End (C. Miller). Telephoning Your Way to Compelling Value Propositions (G. Castellion). Focusing NPD Research on Customer–Perceived Value (C. Miller and D. Swaddling). PART 2: PROJECT LEADER TOOLS TO USE ANYTIME. Product Champions: Crossing the Valley of Death (S. Markham). Managing Product Development Teams Effectively (R. Leenders, et al.). Decision Making: The Overlooked Competency in Product Development (M. Deck). How to Assess and Manage Risk in NPD Programs: A Team Based Approach (G. Githens). PART 3: PROCESS OWNER TOOLS. Capturing Employee Ideas for New Products (C. Gorski and E. Heinekamp). Lead User Research and Trend Mapping (L. Meadows). Technology Stage Gate(TM): A Structured Process for Managing High Risk New Technology Projects (G. Ajamian and P. Koen). Universal Design: Principles for Driving Growth into New Markets (J. Mueller and M. Story). Portfolio Management: Fundamental to New Product Success (R. Cooper, et al.). Assessing the Health of New Product Portfolio Management: A Metric for Assessment (R. Meltzer). Risk Management: The Program Manager′s Perspective (D. Dunham). Process Modeling in New Product Development (P. Bunch and G. Blau).